Woman In Digital: Who's The Bozz? In every household, there's a boss? Hubby has always the final say although I can't help but insist my ideas most of the time, lol. PLDT SME Nation's in partnership with Rappler launched the Bozz Awards. It's a social media crowd sourcing search for the new generation of entrepreneurs who are harnessing digital tools to grow their businesses. The Bozz Awards hopes to inspire more entrepreneurs with success stories of those who have boldly embraced the challenges and opportunities of the digital era. 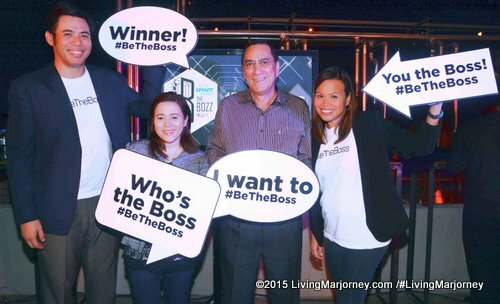 Rappler will facilitate the crowd sourcing aspect of the campaign which will carry the online handle #BeTheBoss. Business owners for at least two years. Boss for Social Responsibility and Entrepreneurship. The final five Bozz awardees will also be given a once-in-a-lifetime opportunity to see the world’s melting pot of technology via an exclusive Silicon Valley tour.